Home/Local/THE SANDWICH KING IS COMING TO VERNON BOULEVARD! A whole lotta news happened here while I was guzzling away on the beach during Spring Break. There’s no craft beer where I went, just Bud Light during the day and Fireball at night. With heavy doses of that combo you don’t even need a motel room. Would you like to see pictures? No? Well then let’s talk sandwiches! 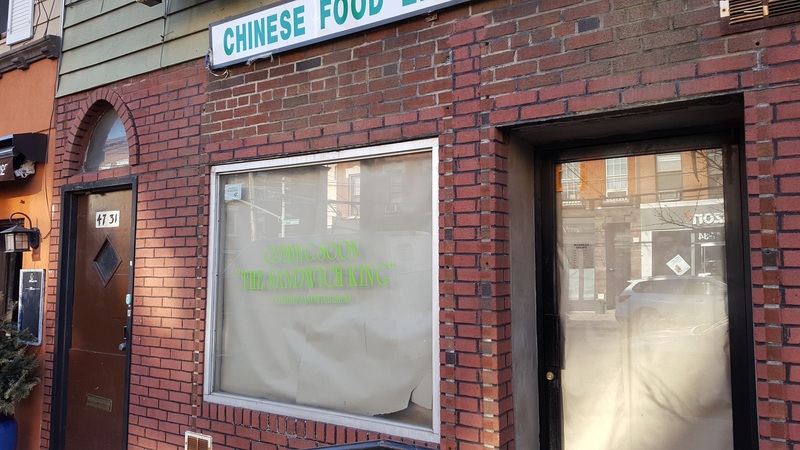 A new establishment called The Sandwich King is coming to 47-31 Vernon Boulevard in the space formerly occupied by the Chinese restaurant New City Kitchen. It will feature home-cooked meats such as Brisket, Corned Beef, Roast Beef, Turkey, and their signature Pastrami. We spoke with the owner, Nick Giovanniello, who has lived on the waterfront in LIC for the last year and a half. Nick grew up in Middle Village and Howard Beach, Queens, and whenever he’d invite school friends over to his place they’d always ask “What do you want us to bring from the old neighborhood.” Which is exactly what Nick plans to bring here. His partner in the restaurant is an owner of Sapienza’s in Howard Beach, and in addition to a lot of similarities to that deli, Nick cited Cherry Valley in Whitestone and Katz’s on the Lower East Side as his inspirations. But it doesn’t stop there as he will also be serving lunch specials such as sausage and peppers and healthier options like salads. They will be serving breakfast too including bagels made on location, french toast, & pancakes. There will be seating for 18 on site, and a few benches with an awning in front. There used to be a time when almost every town in the Tri-State area had a go to salumeria, now it’s Panera and Subway. Astoria still has Sal, Kris, & Charlie’s Deli and Hoboken has Vito’s, and come late April/early May Long Island City will have The Sandwich King! //Sweet Chick restaurant on Vernon Boulevard will open on April 9 according to QNS.com. All the details on this chicken n’ waffles place co-owned by the rapper Nas are in the link below. Bellwether restaurant has opened and it’s pretty much as we first reported back in December, click on the link below to see the full menu. Finally in Eats, a new wood-fired pizza place called Beebe’s has recently opened in Queens Plaza. //What does it cost to rent a place on Center Boulevard these days? The Sandwich King’s location was asking $11,300 a month including taxes for the 1,200 sq ft location2, and given the the quick turnaround since New City’s closing they probably paid close to that. The post THE SANDWICH KING IS COMING TO VERNON BOULEVARD! appeared first on LICtalk. After nearly 26 years, Three of Cups is closing on 1st Avenue; Emmy Squared next?